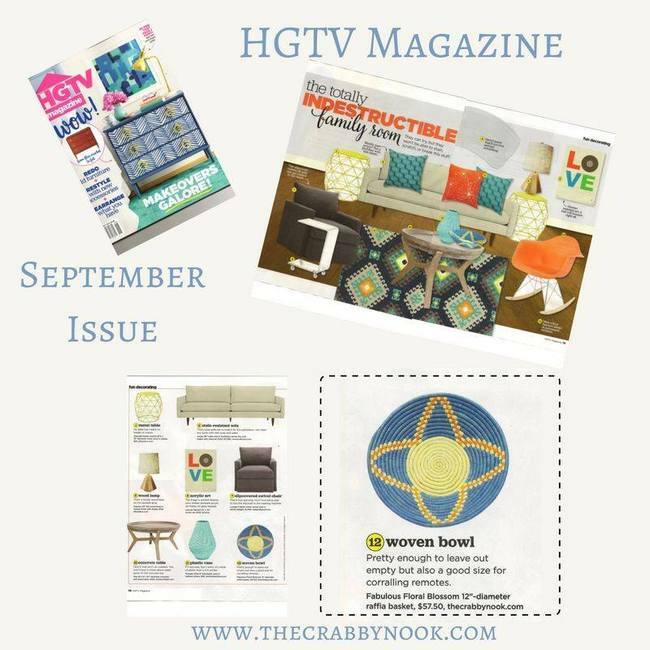 HGTV Highlighted our Basket in their September 2017 Magazine! Use your Loyalty Customer Coupon Code CRABBY10 at check-out for 10% OFF your entire order! Quantities are limited! If you want to send us a selfie video or photo of you receiving your purchase from The Crabby Nook and doing the "Oh Yeah! Oh Yeah! hands in the air, I am doing the Happy Dance!" we will share it on Facebook. Make it as creative as you want but it has to be PG rated. Thank you for supporting our small business since 1999. We appreciate you so much! We LOVE our customers! www.thecrabbynook.com See you Shopping Soon!